What company do you recommend for hosting? The question gets tossed around a lot in the world of web dev and web DIYers. For me, the answer is Siteground hosting and here’s why. First on the list is customer support. There are hundreds of the same services out there that get the job done but the one huge differentiator among them is the support we receive. And let’s face it: things break, things don’t often work the way they should, or the way we thought we set them up, and we’re not all IT nerds out there. We have no idea why something is happening. Non-techies don’t want to sift through IT jargon and google terms all afternoon to figure out what is going on with their website (MySQL database? SFTP Access? What?). We just want it to work. Siteground customer support to the rescue. Customer service for calls, on-site chat, and ticketing is open 24/7 with almost instant reply time. You’ll initiate a chat and the little box will tell you their reps are handling 64 other requests. Before you finish the thought that you might as well go reheat your coffee, you get a little notification from an agent greeting you. And you think, “huh, that was pretty quick.” And they are awesome—seriously. I’ve never dealt with a happier and enthusiastic bunch of customer support reps. But the part I love most is that they take care of your problem for you. They don’t sit there and tell you what you have to do to fix something; they go in and do it for you. And then come back to tell you everything’s ok. That type of service suits me perfectly. Cloudflare CDN is a free feature they have that makes your website load faster from any part of the world. They do this by caching your content and distributing it to their servers around the world so it is delivered to your visitor from their closest server (requires activation). There’s a thing called SuperCacher by Siteground which increases the number of hits your site can handle and boosts your website loading speed. They do this through a number of options depending on what kind of website you have. You either like WordPress, or you don’t. 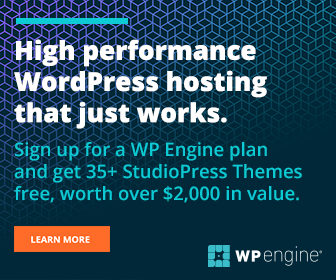 But if your website is one of the 25% of the internet built using WordPress, you’ll be thrilled to know that Siteground specializes in and has amazing support and resources for everything WordPress. With just the initial download, installation and setup, which can seem daunting to any new user, Siteground offers 3 ways to get it done. My favorite is the manual setup done by their customer support team… for FREE. But there’s also a 1-click install option which is almost as easy. Additionally, you can find a gallery of free WordPress themes, a list of recommended free and premium plugins, automatic updates to the latest version of WP, a library/video library that includes step-by-step tutorials on beginner and advanced topics about the functionalities of the WP dashboard, and a slew of articles and how-to tips in their FAQ section. This is all free support so you can have a cool looking website that runs on up to date technology without the need for an expensive web developer. Well, yes and no. I hear a lot of people say they’re wary of people who recommend Siteground beca use they’re usually affiliates. But if it was only the compensation that was driving me to write this blog post, I would’ve raved about Bluehost instead since they pay a higher commission. I only spend time reviewing products and services I’ve tried and love. It’s so much easier to do when it’s genuine. I’ve been hosting my website with Siteground for almost two years now. In this year, my own website has experienced zero downtime. And I’ve had great experiences with their customer support team that resulted in getting myself un-stuck from sticky situations quickly. As always, they would go in and do the dirty work themselves as opposed to trying to explain to me how to do it or giving me excuses to keep me placid (it has happened before). But don’t take my word for it – you can find tons of customer reviews on the internet. You’ll find most people praising the helpful and effective customer support team and the reliable hosting with virtually no downtime. So my recommendation is, if you’re looking for a new host or getting started with one, go with Siteground hosting. Not only will you get 50% off the StartUp plan if you use any link in this post, but you’ll buy yourself invaluable peace of mind. CLICK HERE AND SIGN UP to get 50% off your Siteground hosting plan. Oh! We should have read this post before! Thanks for the information! Siteground does seem to have great benefits. I just renewed the hosting for one more year. Going to bookmark this for future reference. Thanks for sharing. Lots of information – thanks for sharing! Interesting facts to know! Thanks for sharing them with us! I switched to Site Ground recently and saved 10 seconds on my site’s load time!